THERI: Rocking new Thalapathy 63 intro song details! 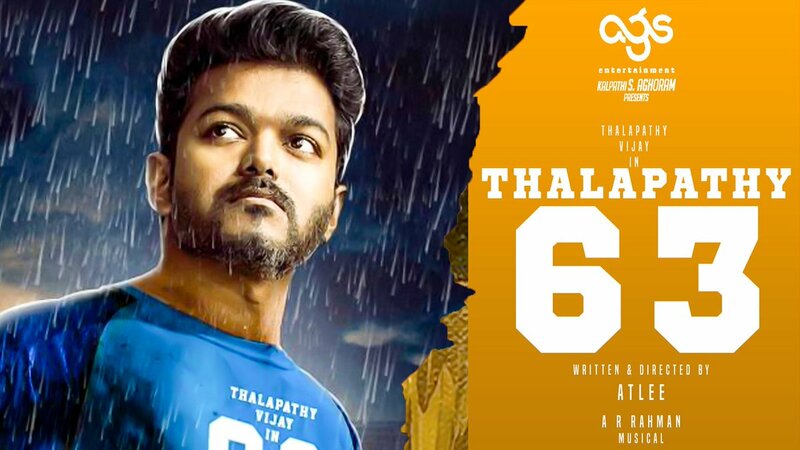 Billed already as the most anticipated movie of the year, Thalapathy 63, coming under the sports genre will reportedly see Vijay apparently playing the role of a football player alongside Nayanthara as the female lead with Kathir, Vivek and Yogi Babu in supporting roles and under Atlee's direction. Being produced by AGS Entertainment and AR Rahman scoring the music, we recently revealed that the introduction song in Vijay 63 has been sung by Bamba Bakya of "Simtaangaran" fame from Sarkar. Meanwhile, we now have yet another interesting update about Thalapathy 63 intro song as it will be a song aimed at children owing to Vijay's massive popularity among kids. The Vijay 63 intro song shot in Binny Mills with a grand set is said to feature as many as 250 dancers among whom there will be 150 junior artists and 100 school kids below the age of 10 years. Based on all that we have heard about this song, it looks like an amazing visual treat awaits us all when Thalapathy 63 hits screens this Diwali in October.